Remember that movie from the late 90s where two teenagers get pulled into an old black and white television series and slowly bring change and color to their new surroundings? I feel that a similar revolution is happening in the world of kitchens, not to get too dramatic. 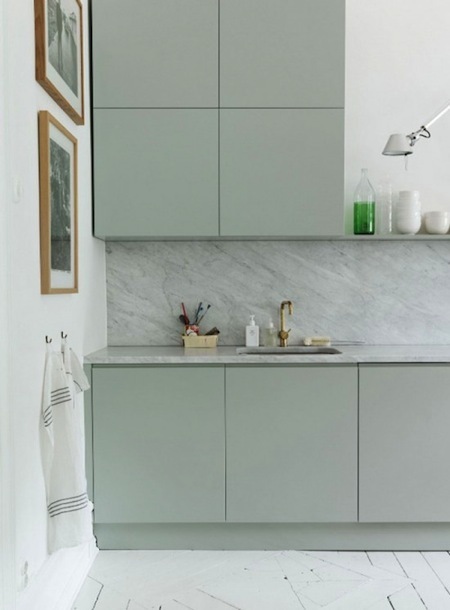 In a world of plentiful gray, I'm pleased to have found a few fresh ideas out there for your cabinets from metallic finishes to shades of green from soft mint to bold hunter. And the pastel love continues with these mint cabinets. 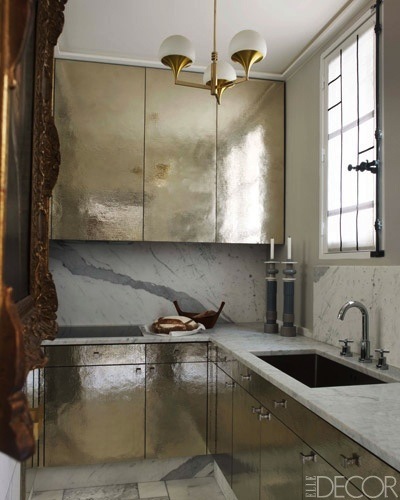 I love it paired with the marble counters and brass finishes. Hammer-time, just kidding. Those drop crotch pants should stay where they are: in the past. 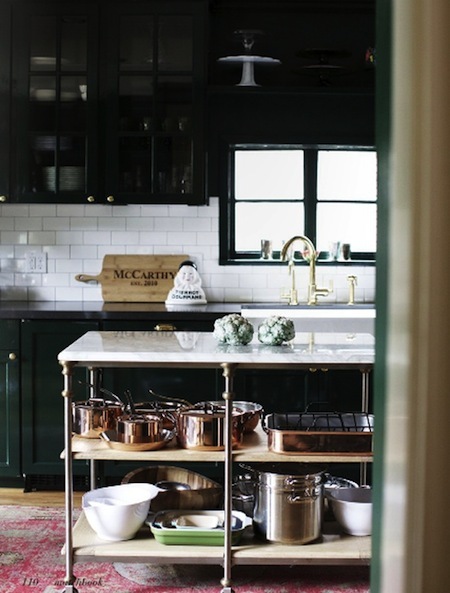 These hammered metal cabinets, on the other hand, are just gorgeous. This kitchen. This kitchen is beyond words amazing. Bailey McCarthy is a design genius. 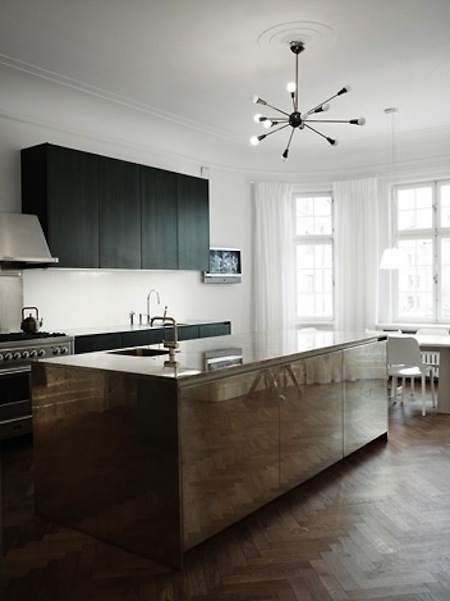 Mirrored panels for your kitchen island? Why yes, I think I will.